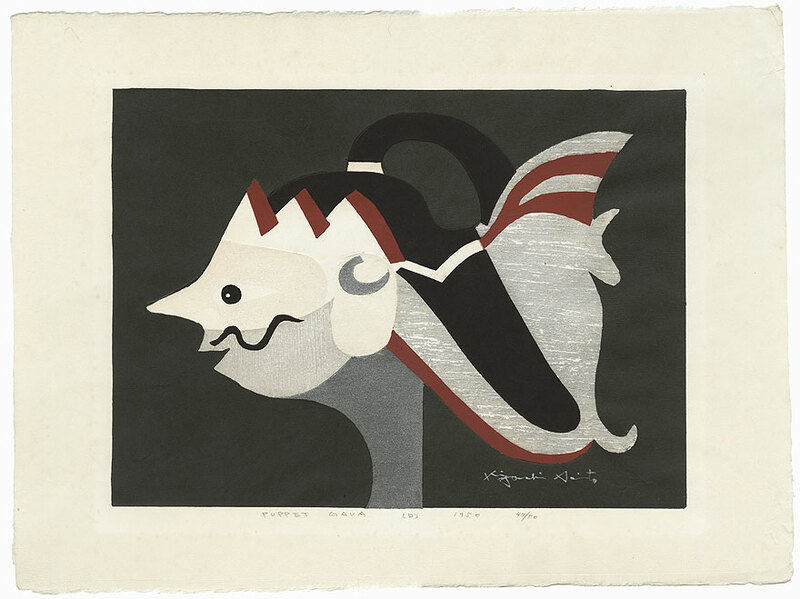 Kiyoshi Saito - Kiyoshi Saito was one of the greatest masters of the "sosaku hanga" or "creative print" movement in Japan, which emphasized artist involvement in designing, carving, and printing the blocks himself, as the sole creator of his work. In 1951, Saito earned international recognition with an award at the first Sao Paulo Art Biennal. Saito is known for his use of simplified forms and refined color palettes, emphasizing texture and shape and utilizing the impression of the wood grain. These bold and somewhat abstract modern works are simple and direct, reducing nature to its essentials. Saito exhibited widely and his works are held in the collections of many international museums. 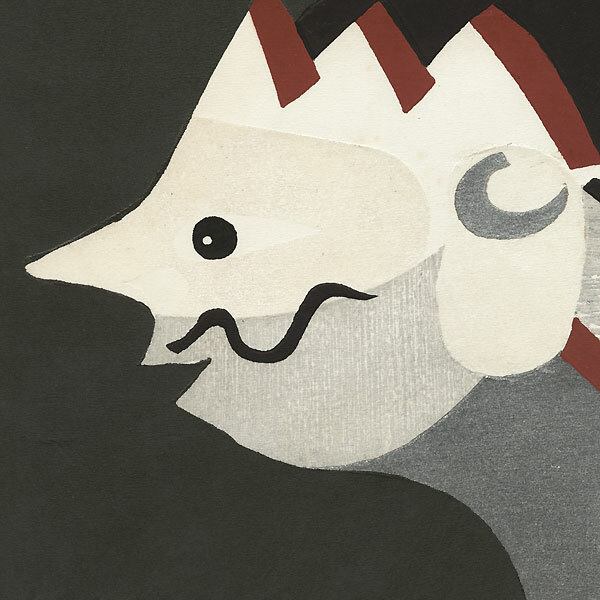 Comments - Bold image of a Javanese puppet seen in profile, set against a deep gray matte background. 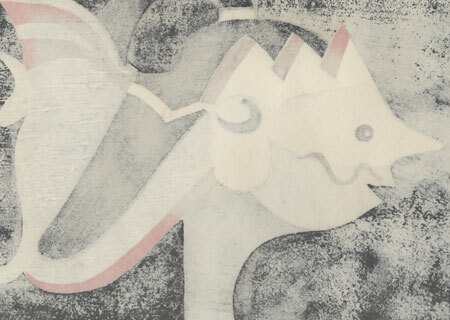 Metallic pigment in dark gray, silver, and pearl add sheen and interest to the simplified , abstracted forms. A great sosaku hanga design from a series Kiyoshi did of Javanese puppets. Signed and numbered limited edition. Condition - This print with excellent color and detail as shown. Slight toning, a few faint spots, slight soiling and a couple creases at edges. Please see photos for details. Good overall.